As part of our commitment to providing our customers with the best deals on scooter vans, AMS Vans backs all newly modified accessible minivans with our low price guarantee. * AMS Vans can deliver your new handicap accessible van right to you in Ann Arbor, Michigan or nationwide (delivery fees may apply) where our mobility professional will give you a tour of your new handicap accessible van as part of our white glove service. Once your modified AMS Vans brand wheelchair van from our inventory has been delivered, you have the option to reject the van if you aren&apos;t 100% satisfied. New and used handicap accessible vans with new AMS Vans conversions are backed by an incredible warranty, nationwide service and access to our 24-hour emergency conversion help line. Most new or used minivans can be converted by AMS Vans into one of our top quality, low priced wheelchair accessible vans. Choose from the AMS Vans Legend, AMS Vans Edge, or AMS Vans Edge II Long Channel wheelchair van conversion models for your new or used Honda, Dodge, Chrysler, or Volkswagen minivan. 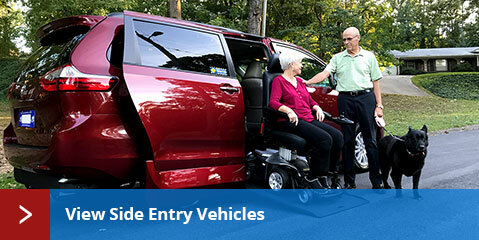 Mold your handicap accessible van to your family or business with add-on mobility equipment such as jump seats and Q&apos;Straint electronic wheelchair docking systems. AMS Vans has new minivans modified with wheelchair ramps for sale to Ann Arbor, Michigan and across the country. Mobility van conversions are available on Honda, Dodge, Chrysler, or Volkswagen minivans in either side or rear entry models. 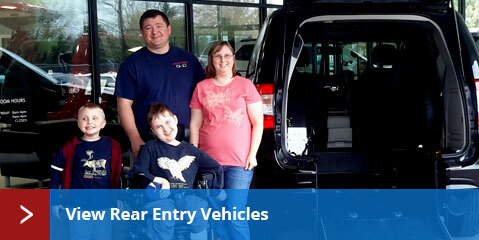 With a new minivan, mobility rebates are often available for even more savings. We offer certified pre-owned minivans with new and used conversions by AMS Vans, as well as used handicap minivans by Braun, VMI, Rollx, and all other handicap vehicle manufacturers available in Ann Arbor, Michigan and across the country. Purchasing a used minivan doesn&apos;t subject you to the loss in value that occurs when buying a new vehicle. Used mobility vans with new handicap conversions come with the remaining warranty on the minivan as well as a great conversion warranty. You can rest easy when you sell your un-modified or professionally converted minivan to AMS Vans at one of the highest sale prices in the industry through our quick sale program. AMS Vans buys unmodified or converted minivans and can pick-up right from your home or office in Ann Arbor, MI and nationwide. You can still sell your used wheelchair vehicle direct to AMS Vans if it is from another manufacturer like Braun, VMI, or Rollx. 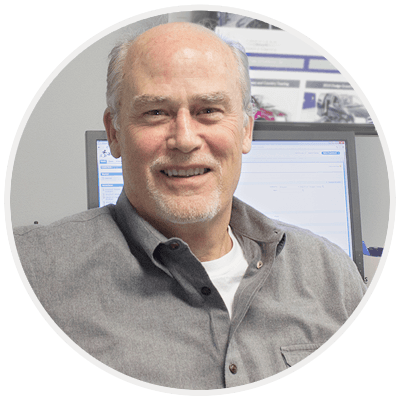 Previous customers consistently leave feedback stating a price quote from AMS Vans was much higher than other dealers in Ann Arbor, Michigan. AMS Vans pays top dollar for used wheelchair vehicles in Ann Arbor, MI you no longer need when you sell direct to us through our Buy Back Program, or when you trade in on a newer model of an AMS Vans wheelchair accessible van. 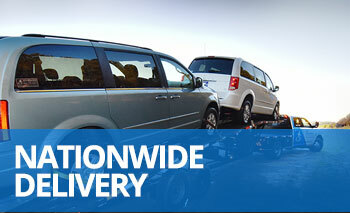 Sell a Dodge, Chrysler, Volkswagen, or Honda minivan from Ann Arbor, Michigan and nationally direct to AMS Vans. In order to provide accessible transportation for an even lower price without the heavy depreciation that occurs on a new vehicle, AMS Vans converts pre-owned minivans into used AMS Vans handicap vans with new ramp conversions. If you prefer to sell a handicap vehicle yourself or are looking for a used wheelchair accessible vehicle from a private seller in Ann Arbor, MI, visit our online mobility classifieds to reach a network of buyers and sellers. Post your AMS Vans used wheelchair van for sale in our online mobility classifieds free the first month for all AMS Vans customers. Save time answering requests for more information and writing a catchy ad to sell your used wheelchair accessible vehicle by taking part in our mobility consignment program where we will handle the sales process for you. To keep the prices of our handicap vehicles as low as possible, AMS Vans works differently than other dealers by selling direct online and select storefronts nationwide. AMS Vans is an open company that doesn&apos;t survive on small print, exceptions, or selling you something you may not need; read through our wheelchair van customer testimonials from Ann Arbor, Michigan and nationally. Even after the sale, if someone you know buys a wheelchair accessible van from us and mentions your name during the sale, we will send you a check for $250. AMS Vans takes extreme care when converting a minivan into an AMS Vans handicap van down to the very last screw, so we know we are selling some of the best wheelchair vans possible at the lowest price.